GeoGebra Integration GeoGebra on a math Regents exam (remote) Robert Pontecorvo is a professional educator with over thirty years of experience teaching Mathematics in both the public and private sector. 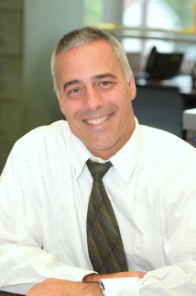 Since 2009, he has served as the District Coordinator of Mathematics for the Sewanhaka Central High School District (the largest school district in Nassau County in Long Island, NY) where he oversees more than eight-five math teachers of grades seven through twelve. Prior to this, he was a teacher of math and is still a building Mathematics Department Chairperson. He has been an Adjunct Professor in Adelphi University’s Math Education Program and even taught mathematics on television for three years on the Extra-Help Channel for Cablevision and Rainbow Programming. With a background in Telecommunications Engineering and a vast amount of experience in public speaking, Robert is responsible for professional development, technology integration and training, curriculum, data analysis, and public relations for the mathematics department of his school district. He lives on Long Island with his wife, Bonnie, his children, Kayla and Matthew, and his labradoodle Cookie-Jellybean.